The elements below form the Rhodipor Ecobuild building system. If you are considering using the system prior to commencing any design work, it is recommended to contact ourselves, and you will be advised as to the most efficient methodology to design a building utilising the system. The system comprises of varying components to ensure an energy efficient and airtight construction. All elements are required as part of the system and as such should a quotation be sought these items are automatically included. When reviewing ICF’s systems they may all look the same but fortunately for ourselves they are not. Some systems exclude corners as a basic example and others vertical closers at windows and doors. 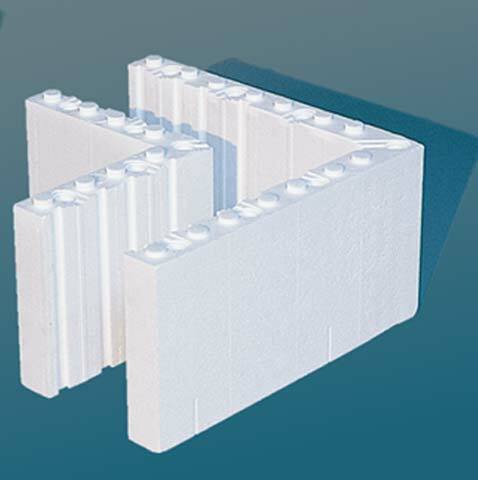 Rhodipor Ecobuild ICF is one of the most complete ICF systems on the market available. 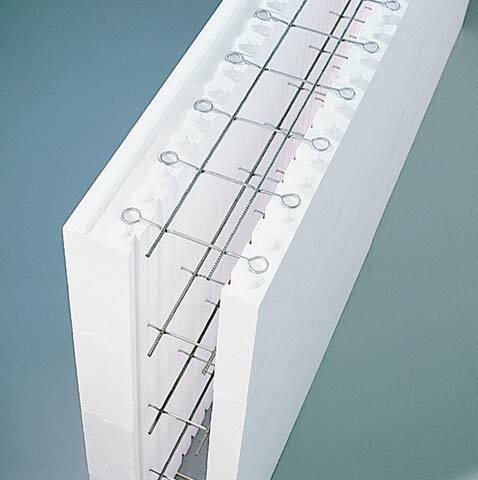 Rhodipor Ecobuild ICF panels can be supplied in varying widths to achieve a required U-Value. The basic panel thickness is 50mm which is generally used as the internal panel, whilst the external elements start at 50mm incrementally increasing to 300mm. 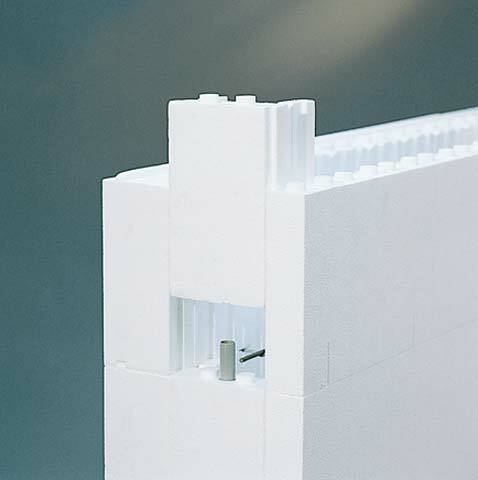 Plastic dowels are supplied in the panels to reduce construction time but can be easily removed when forming window openings.The dowels form a joint between the panels as the walling is constructed. Over the dowel a metal tie is placed connecting the two Rhodipor Ecobuild panels together. The length of the ties can be increased to allow a greater cavity between the two panels from 142mm to 200mm. This is beneficial when an increased thickness concrete core is required to deal with higher side loadings. 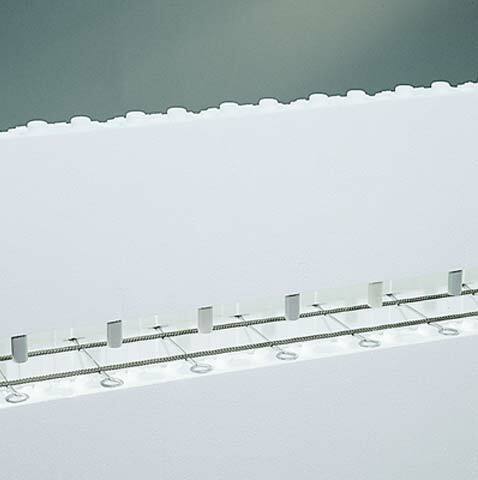 All corners supplied are at 90° but other angles can be accommodated in mitring the standard wall panels together. 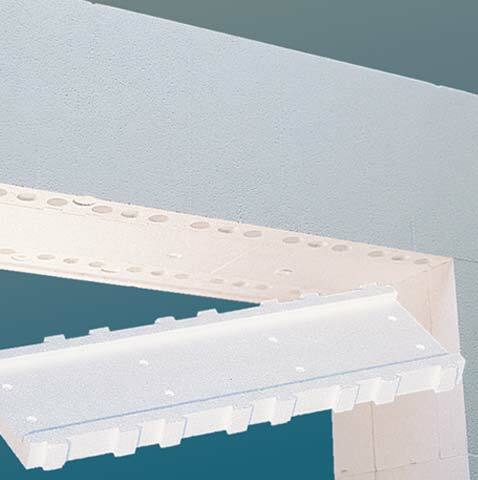 Closers to the vertical sides of openings ensure the building has no thermal bridges whilst maintaining speed of construction as no bespoke formwork is required. Closers to the head of openings ensure the building has no thermal bridges and no bespoke formwork is required. 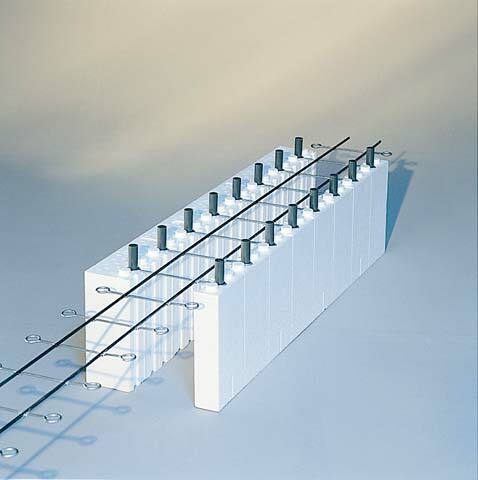 The components detailed above allow assembly of all concrete walls, including corners, angles, columns and T intersections. Subsequently transport and storage costs of for the Rhodipor Ecobuild ICF system are substantially lower compared to pre-assembled block systems. The simplicity of the system ensures minimal components are required, minimising confusion on site allowing any build to progress quickly.